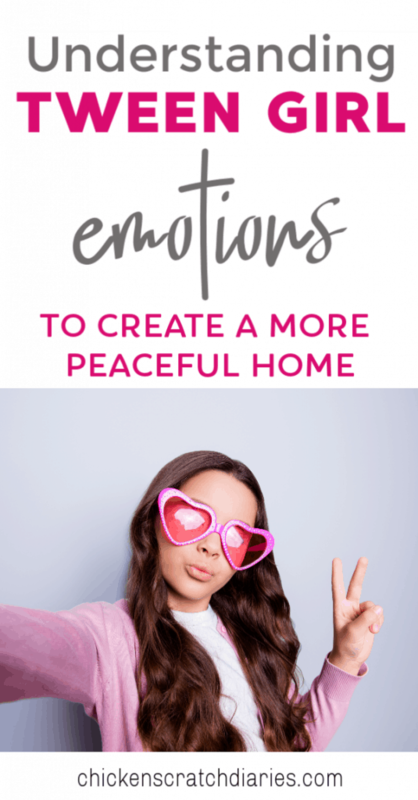 As a mom of three girls, I’ve experienced the full range of girl emotions – from the itty bitty baby years to the almost-teen years. And of course, being a girl myself, I can relate. But even though as moms we’ve been there, it can be hard to really be there and understand what our girls are going through in the moment. I’m talking about the illogical, high-emotion episodes that we might refer to as girl drama. Sometimes I can connect a stressor that is directly causing my daughter’s erratic behavior. 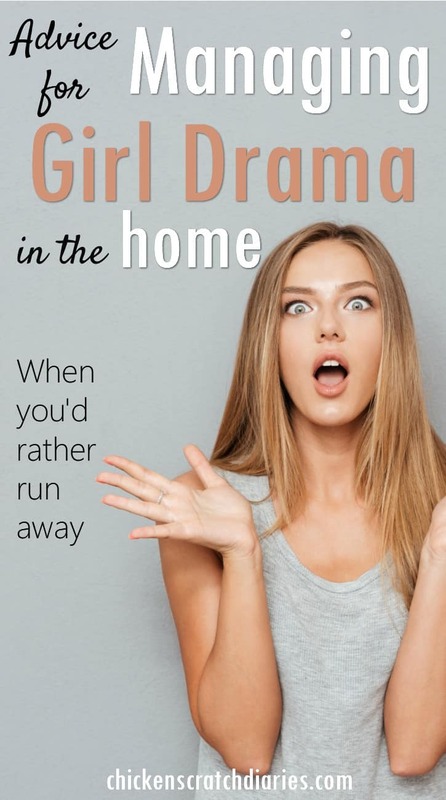 Other times, there is nothing I can pinpoint to account for the tears, the over-reaction, and the “woe is me” attitude that can turn our household upside down in an instant. If you’ve been there, don’t panic. Try not to roll your eyes. And don’t run away, though it’s tempting. I get it! 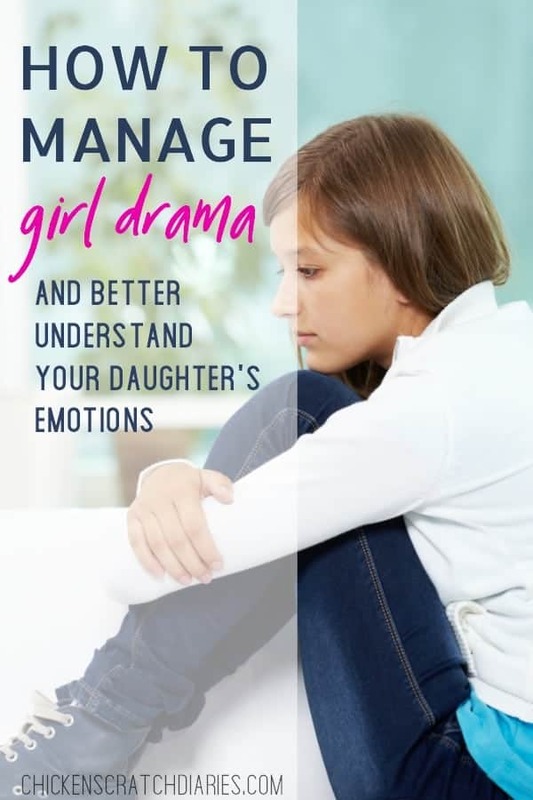 Making an attempt at understanding your tween daughter and her emotions is the key to having a better relationship with her. Your daughter needs you even in her most illogical and frustrating moments. The good news is, you don’t have to be a child therapist to manage these rough waters with your girls, you just have to be willing to be her anchor. Parenting tween girls doesn’t have to be so stressful. Promise! Below are some tips that have helped me to understand and cope with girl drama in our household. Here’s a typical scenario you may have experienced with your daughter(s). Maybe you’ve had a rough day yourself, and you pick your daughter up from school and IT BEGINS. Before you can even get a “How was your day?” past your lips, she launches into a tirade about how she didn’t wear the right shoes for gym that day, the lunch you packed was awful and, by the way, she has NO friends. It’s what we would call “one of those days”, but in the mind of your young daughter, it’s the end of the world. And from her perception, it’s all your fault. It’s so easy to go on the defensive. Even though we’re the adult, it’s bewildering to have the a days’ worth of emotions piled squarely on your head for no good reason. But it’s so important to take the high road here. The more her emotions escalate, the calmer we need to become – for everyone’s sake. If we can choose to respond instead of react in anger, we can be a catalyst in helping our daughters work through their emotions – instead of adding fuel to the fire. So instead of getting offended and telling her how she needs to “calm down” or worse, trying to convince her it really “isn’t that bad”, start with some empathy. It will not be your gut reaction, so it’s something we have to practice ahead of time. It’s perfectly ok to calmly remind her to be respectful as she proceeds to tell you all about it. When you’re not getting anywhere by responding, even in empathy, the best thing you can do is simply give her some space to sort out her feelings and diffuse on her own. When emotions are high and every positive response seems to have no effect, I will often suggest to my daughter that she takes a “little rest”. I don’t want her to feel like I’m putting her in time-out, but sometimes resting and distracting herself from the seemingly mountainous problem(s) she’s facing is the only way around it. More often than not, when I go to check on her later, I’ll find her asleep in bed. This leads to my next point. Sometimes I don’t know whether the emotional roller coaster itself wears her out or she simply needs to catch up on sleep. Either way, it’s usually clear when one of my daughters just needs a nap after school – and I’m talking about my 9 and 12-year-old. While we try to make sure we stick to a bedtime routine, I’ll be the first to admit that we often FAIL at this in our house. Sometimes I’m catching up on work after dinner and the process gets started later than it should. Or, my older daughter has ball practice, or we just stay up too late talking (which isn’t a bad thing). 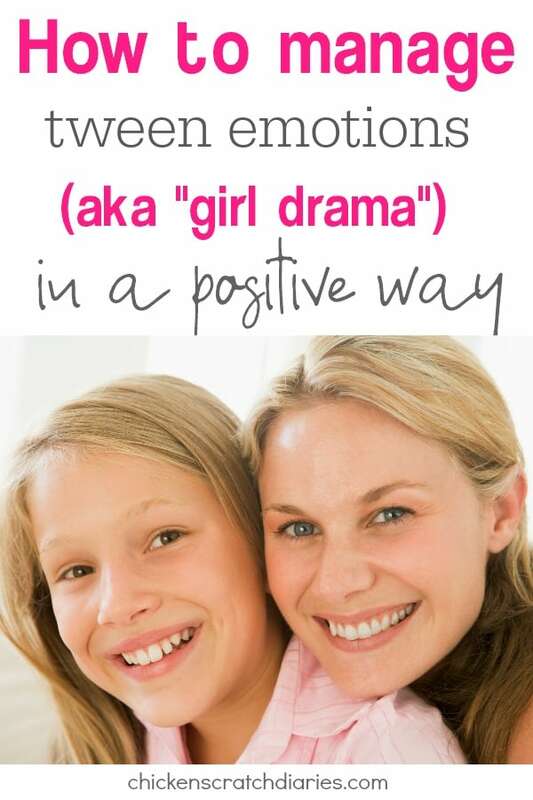 But a shortage of Z’s can either create, contribute to, or exacerbate the perfect storm for my girls when those high-emotion moments (or days) hit. Who am I kidding – I can become a basket case pretty quickly myself, if I’ve been shorted on sleep for too many days in a row! My suggestion is to try starting the bedtime routine 30 minutes earlier than normal for a week or so and see if this helps lessen the drama by the end of the day. Whether it’s my one-year-old, nine-year-old, or my twelve-year-old – the girl drama is ALWAYS more intense when our schedules have been hectic and/or I haven’t been home as much as usual. The same goes when my husband gets home late or is out of town for a few days. Girls (and boys) of all ages just need time with their parents. Dinner time is a great time to connect and ask questions. And if you can start the earlier bedtime, that’s extra time you can spend when you really have your daughter’s full attention. Kids can be pretty insightful and introspective when they’re sleepy and they know you’re listening, so be sure to take a few minutes to wind down with them at the end of the day and try not to rush through the bedtime routine. It truly makes a difference in their attitude, at least in my experience. When I’ve noticed a repeat pattern of high-emotion frustration, anger, and lashing out from one of my daughters, I try to consider what’s been going on in our lives and how that might affect how they’re behaving. 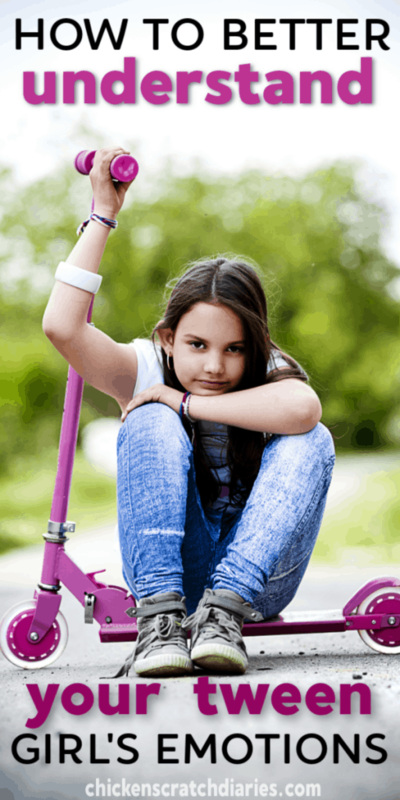 Hormones can play a BIG role especially in the 8-and-beyond years, so it’s entirely possible that there is really NOTHING you can attribute to your daughter’s erratic behavior. It never hurts to think of ways you can spend more time with her, however, especially one-on-one time. If nothing else, it will give her another opportunity to talk about what’s bothering her and maybe come to her own conclusions about how to cope with and understand her feelings. 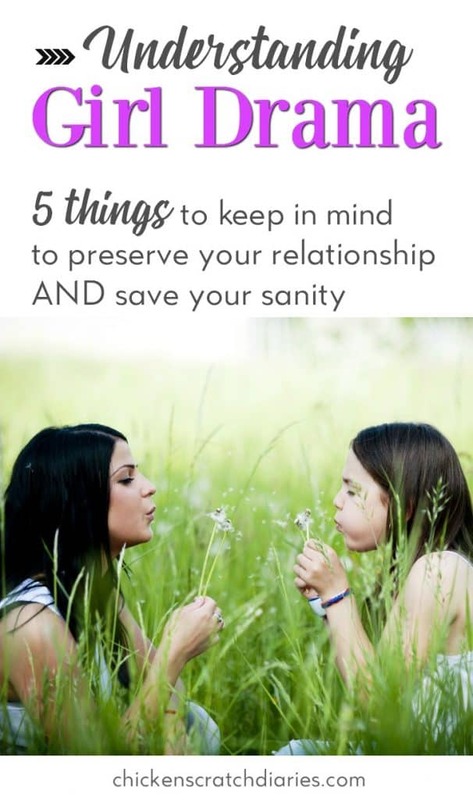 It will also give you time to connect with your daughter and help her to put her frustrations into perspective. Some might disagree with me on this, but I think it’s important to delegate certain tasks when it comes to parenting roles. We’ve decided recently that, whenever possible, I’m the one who should talk to the girls in these high-emotion episodes, and he finds something else to do momentarily! This simply works out better for everyone. Later, after the episode has passed, he’s good at debriefing with them (if needed). Maybe you’re the calm one, or maybe your husband has that gift. I think it’s wise to use your strengths to your advantage. You definitely don’t want to tag-team an already-overwhelmed kid with two parents on totally different pages in how to approach them. Trust me, it always ends badly! I’m not going to sit on a pedestal here and tell you we do this perfectly every time in our house. I’ve responded poorly so.many.times, and still do, unfortunately. But looking back, I can see how yelling, negativity and piling up punishment over punishment really didn’t result in a calmer kid. I have to keep in mind that my goal is to help guide my daughters through these emotions which are JUST as bewildering for them, and try to preserve our relationship for the future at the same time. Growing up isn’t easy. Girls and boys simply handle their feelings in different ways, and each pose their own challenges. We won’t always have the magic words or the perfect solution that will dial down the girl drama instantly. However, we can hope that our responses will convey the message that we’re here as a steady, trustworthy source of love and support no matter how out of control they may feel on the inside or act on the outside. With God’s help, we can be that anchor our kids need us to be and someone they will turn to, no matter how big their problems seem at the time. This was really helpful! Thank you so much! I feel like I already knew most of this but seeing it written out clearly really helps to give me a visual and some good wording that I can come back to later when emotions are high and thinking isn’t quite so rational! Hi Nicole! That’s the exact reason I wanted to write this, so I would remember these basic things myself when I’m not always so rational in the moment! 🙂 Thanks for stopping by! I love the idea that we need to be our daughters’ anchor just as we are anchored in Jesus! And yes, our response makes all the difference in our children’s behavior. Thank you for sharing! It’s so true, even if it’s hard to remember in these emotional times! 🙂 Thanks for stopping by, Ashley.